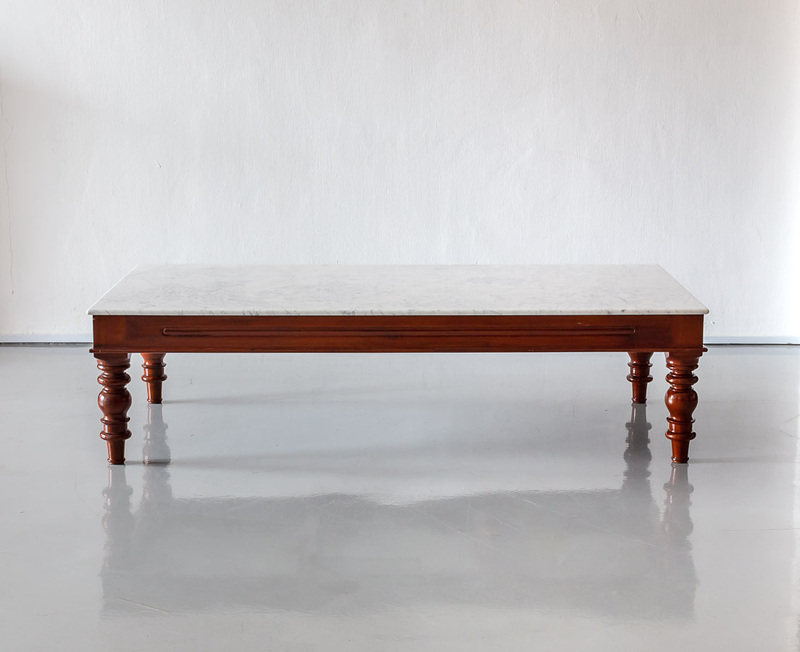 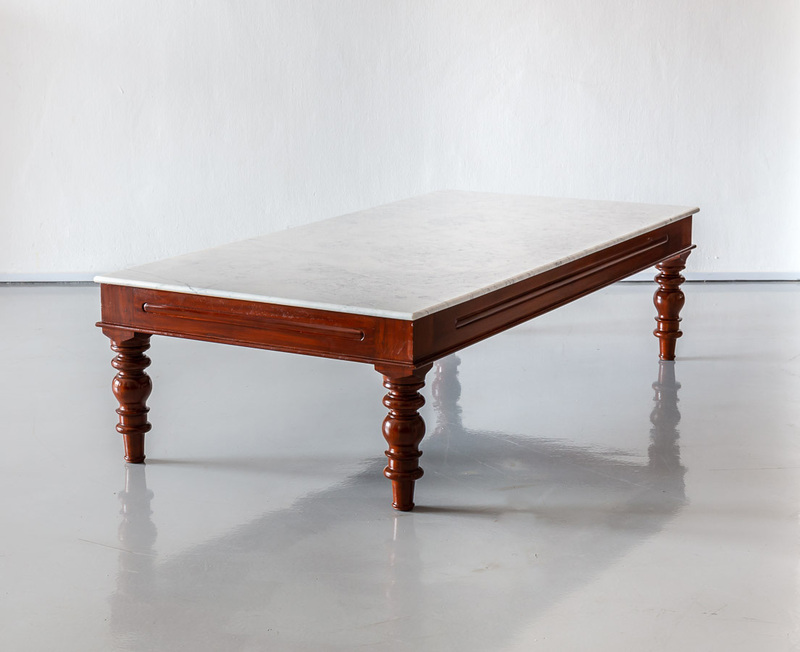 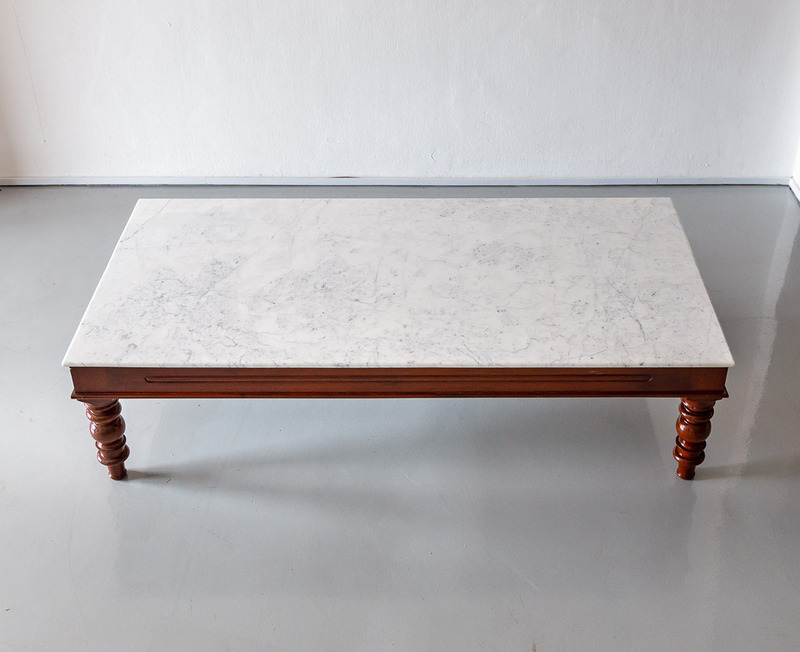 A nice British colonial mahogany coffee table with a rectangular, slightly overhanging marble top. 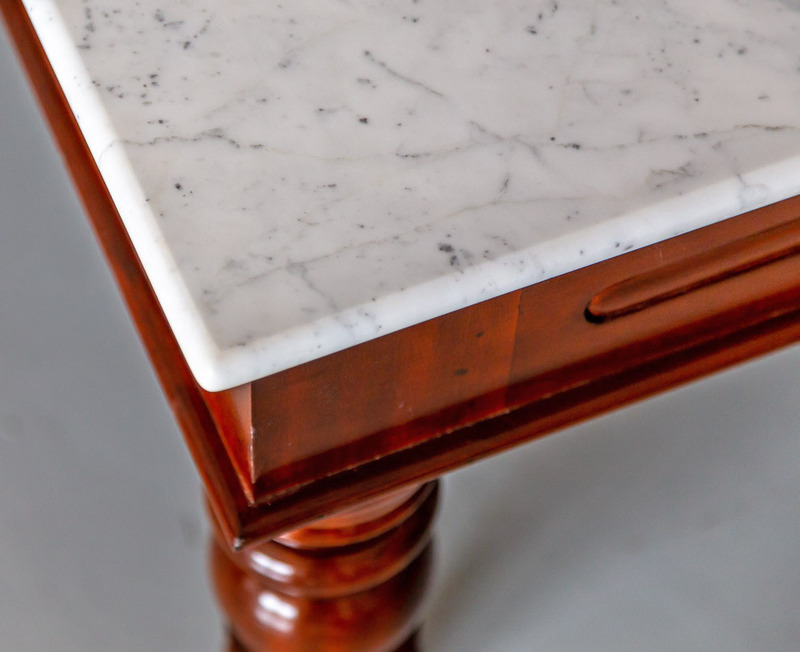 It features a deep frieze with a moulded edge at the bottom. 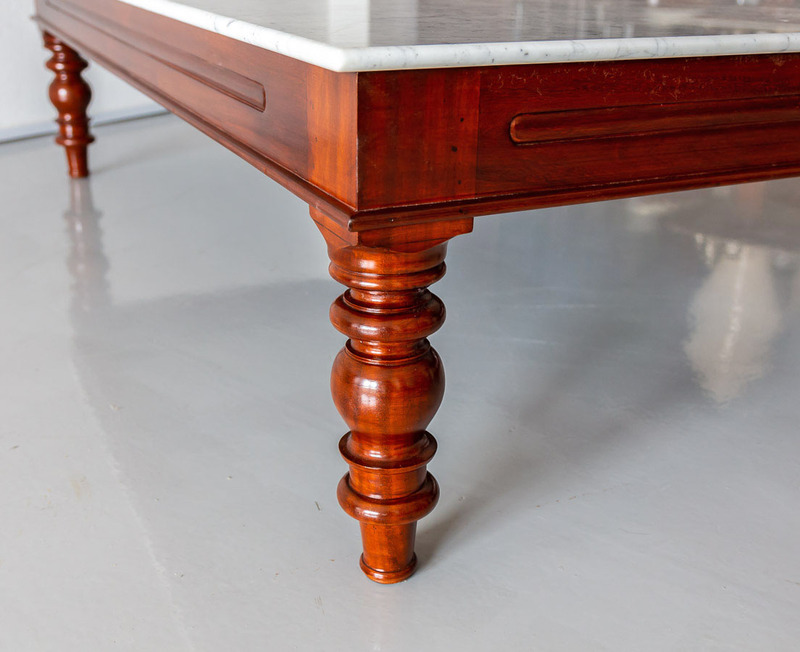 The piece stands on four tapering legs with a bulbous top followed by two rings and ending in a peg foot.